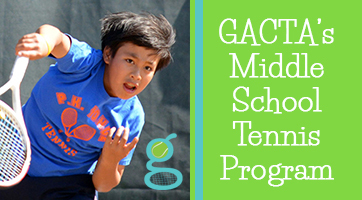 For information about other Middle School tennis programs and events in the Gainesville area, visit our Middle School News & Events page. The 2019 season begins in late March, with the first matches likely scheduled for Friday, April 12th (for some times, possibly March 29th). A no-cut format will be used, and the program is aimed at players of all levels. The costs associated with registration are $55 for the season and include a team T-shirt, match balls and the end of season tournament/play day/party. Transportation to and from the tennis facilities will be the responsibility of the parents. Scholarships are available. For more information, download the 2019 middle school tennis fact sheet scholarships pdf. With any questions, please don’t hesitate to send us a message or contact Anne Koterba, akoterba@nullaol.com or 352-665-9544. You can download the middle school tennis registration forms here. 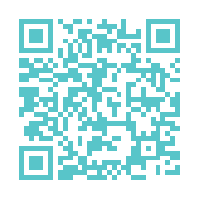 Use this QR code to tell your friends about GACTA’s middle school tennis program, so they can sign up, too! Click the "Pay Now" button on the right to pay your fees online with a credit card, bank transfer or PayPal account. Before clicking the button, be sure to fill out the two fields, so we know which child participant your payment is for and also which school they currently attend. In 2018, the program included eight private and public middle schools and approximately 150 students participated. The 2019 season will begin with practices starting towards the end of March. Dual matches are planned to begin on Friday, April 12th, and will continue through most of May. A tournament/play day will conclude the season. Participants will receive clinics from volunteer local tennis teaching professionals at local tennis facilities, and parents will volunteer to captain the each school’s team. Most matches will be held on Fridays at various tennis facilities in the Gainesville area. For more information, please send us a message or contact Anne Koterba, akoterba@nullaol.com or (352) 665-9544.